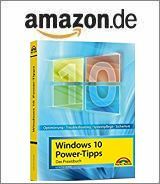 [German]Microsoft has released on November 2, 2017 rollup update KB4052234 for Windows 7 SP1 and KB4052233 for Windows 8.1 (both packages are available also for Windows Server pendants). Addressed issue where applications based on the Microsoft JET Database Engine (Microsoft Access 2007 and older or non-Microsoft applications) fail when creating or opening Microsoft Excel .xls files. The error message is, “Unexpected error from external database driver (1). (Microsoft JET Database Engine)“. But this rollup is causing issues. After installing the update, users may receive an error dialog box indicating that an application exception has occurred when closing some applications. This can affect applications that use MShtml.dll to load web content. The error only occurs, if a process is already in shut down mode and does not affect the application functionality. Microsoft has been working on this problem since October and promises to fix it in one of the upcoming updates. The package can be downloaded via Microsoft Update Catalog. After installing KB4041693, package users may see an error dialog that indicates that an application exception has occurred when closing some applications. This can affect applications that use mshtml.dll to load web content. The failure only occurs when a process is already shutting down, and doesn’t impact application functionality. Microsoft is working on a resolution (since a while) and will provide an update in an upcoming release. Some users who have the text size for icons set to a larger size (using Display Settings in Control Panel) may have issues launching Internet Explorer. Reducing the text size for icons to a smaller value or using the Change the size of all items setting should lessen this issue. I’ve seen this workaround since October, and Microsoft promises to fix this issue within one of the upcoming patches. The package may be downloaded via Microsoft Update Catalog and may be installed manually. This entry was posted in Update, Windows and tagged KB4052233, KB4052234, Update, Windows 7, Windows 8.1. Bookmark the permalink.